Dragon Ball Z: Super Extreme Butoden has recently been announced for the Nintendo 3DS in Japan and the latest Weekly Shonen Jump scan shows off more characters and supports. 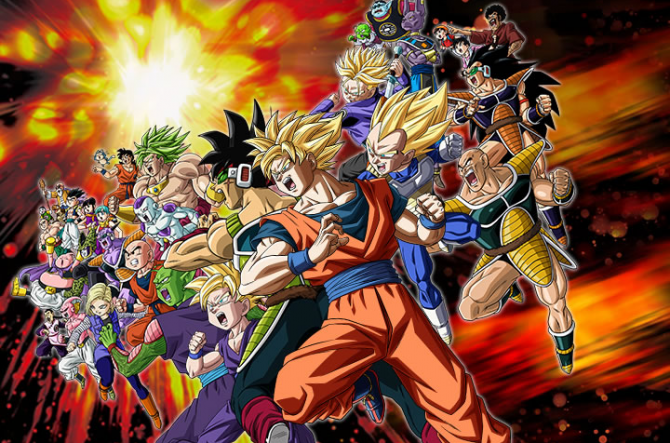 The first new screenshot shows off a battle between Trunks and Vegeta while the second one shows the Captain Ginyu vs. Piccolo. Next to Ginyu you’ll notice the entire Ginyu Force is behind him which may be his character introduction before the battle begins. 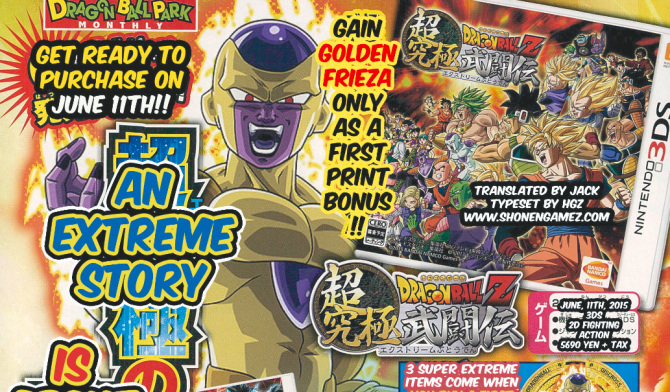 You can also spot Tien grouped with the Z Warriors. 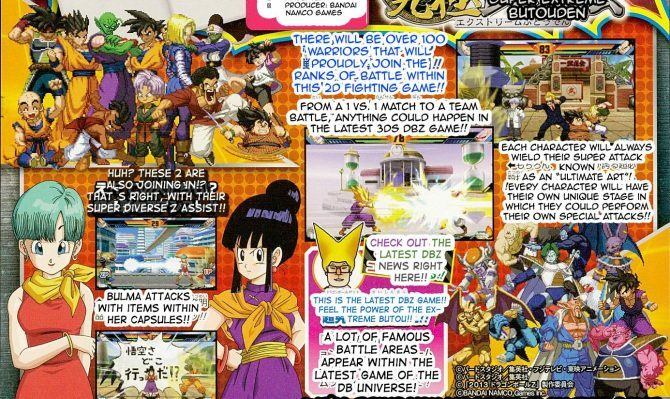 Turtle and Videl join the battle as well as “Z Assist” characters. Master Roshi may be a support character as well, but the scan hasn’t confirmed that. Next to that screenshot we see two more characters Majin Buu and Super Saiyan Gotenks fighting in the World Martial Arts Tournament. 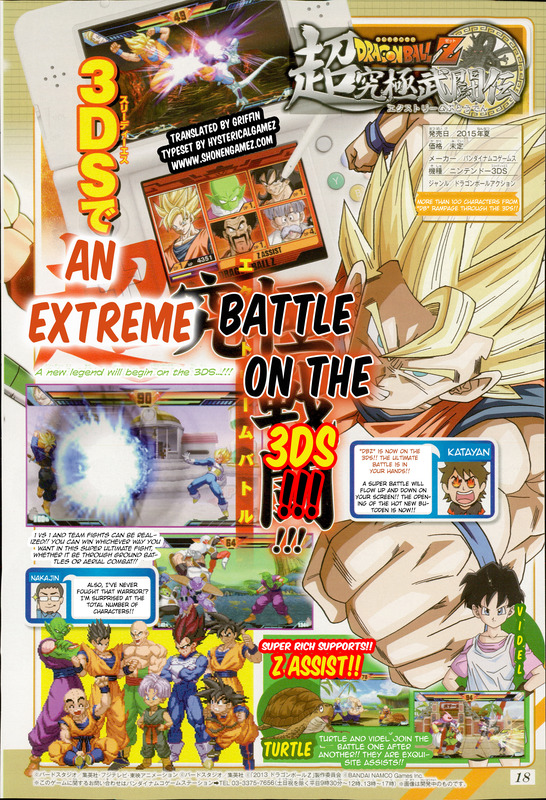 Dragon Ball Z: Super Extreme Butoden is being developed by Arc System Works and will be released in Japan this summer.